Colombia needs a tourism ministry to take full advantage of the growing number of foreign visitors, representatives from the industry say. During the past seven years, the number of international visitors has increased by 150%, according to the Ministry of Commerce, Industry and Tourism with a record number of 6.5 million tourists recorded last year. Leading representatives from the industry believe that an autonomous ministry, distinct to that of commerce and industry is required to take full advantage of Colombia’s increasing popularity as a tourist hotspot in the future. “In the coming years we will have more tourism and we need more support. And, in this sense, we believe that the creation of a ministry of tourism is necessary so that it works independently of commerce and industry,” Paula Cortes, president of the Colombian Association of Travel and Tourism Agencies (ANATO), told newspaper El Tiempo. Gustavo Toro, president of the Hotel and Tourism Association of Colombia (COTELCO) is urging Colombia’s current presidential candidates to acknowledge the potential of the sector as having the capacity to greatly stimulate the economy. According to Toro, “more and more, tourism is more important for the economy,” which he believes would justify the creation of a separate tourism entity. “Tourism has to do with transportation, health, foreign relations. If there is no committed minister, tourism is the last priority,” he added. In this way, the government and society as a whole can view tourism as viable industry similar to things like coal or oil, according to Toro. While the current state of Colombia’s tourism industry was the source of positivity for the most part, officials did warn of the need to regulate those working in the industry. For the ANATO president, “the government must continue with the task of formalizing all service providers,” a task that must be top priority for the next president. With reference to the Airbnb accommodation platform, Cortes likened it to the Uber of the hotel industry, calling on the government to introduce measures for its regulation. “The government does not understand that entrepreneurs are at a disadvantage compared to that informality, sponsored by a platform that does not have headquarters in Colombia,” she said. According to the Monthly Hotel Show presented by the government’s statistics agency (DANE), the variation in hoteliers’ income in the second month of 2018 was 8.8%, while in February 2017 it was -3.7%. Hotel occupancy increased 3.2% compared to the same period in 2017, from 51% in February 2017 to 54.2% in February 2018. Colombia has seen a remarkable upturn in fortunes in relation to tourism in recent years and with the demobilization of what were the country’s largest guerrilla group, the FARC, many more regions will be open to receive visitors in the not too distant future. 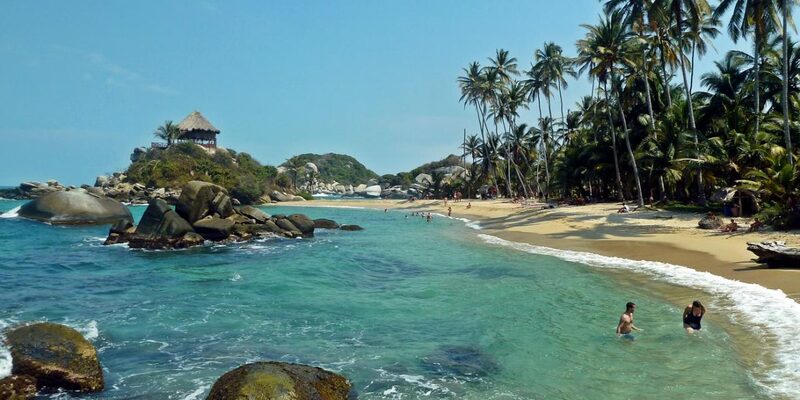 Twelve communities throughout Colombia are currently waiting for the country’s trade ministry to certify them as sustainable tourism destinations. The World Travel and Tourism Council (WTTC) predicts that there will be a 3.2% growth in the tourism sector in 2018.